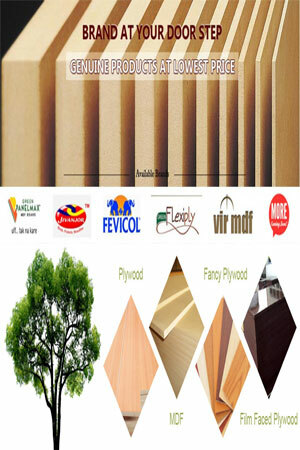 The need for a substrate or core panel to support veneer and other laminates has increased substantially. K Ply, in response to this need has developed a laminating panel from our production of MDO and HDO that answers the specific needs of a lightweight substrate with an exterior glueline. In the cabinet trade, where sizes of 24″,30″, and 36″ widths for things like post forming around sinks are used, K Ply produces either cut to size panels from our 48″ and 60″ widths or fully sanded panels up to 48″ wide. Lengths of 8′,9’and 10′ are standard, 12′,14′, and 16′ or longer are available scarfed. Possible uses: High pressure laminates for the home, shop and prefabricated office furniture, coverings for room dividers and acoustical boxes. K Ply sanded Poplar panels are smooth sanded with 100 grit paper to a solid surface. Faces may be composed of several pieces of veneer. Glueline is a thermosetting phenolic resin, fully waterproof. Innerplies are “C” grade or better. Sound grade allows: “A” grade type repairs of wood or epoxy patching material, up to 18 per face including up to 2 double patches. Small areas of feathergrain, unlimited pinknots, certain splits, open defects and minor putty repairs. Laminating grade allows: Wood patches (no limit), or epoxy patching are permitted. Some pinknots, solid knots, burls, splits, open defects and minor putty repairs. Roughness can include minor and shallow sanded skips and snipes. Back grade allows: In addition to the characteristics allowed above, sound tight knots up to 2″ across the grain, knotholes up to 1-1/2″ across the grain, open splits up to 1/2″ wide tapering, and sanding skips. What Flooring Materials Should I Use for Remodeling my Kitchen?